The timelessly stylish design of the 500 might not transfer perfectly, but the 500L is a pleasingly honest car that sensibly ticks all the boxes a growing family might need ticking. An excellent family car. You have to wonder how far Fiat can stretch the 500 brand. 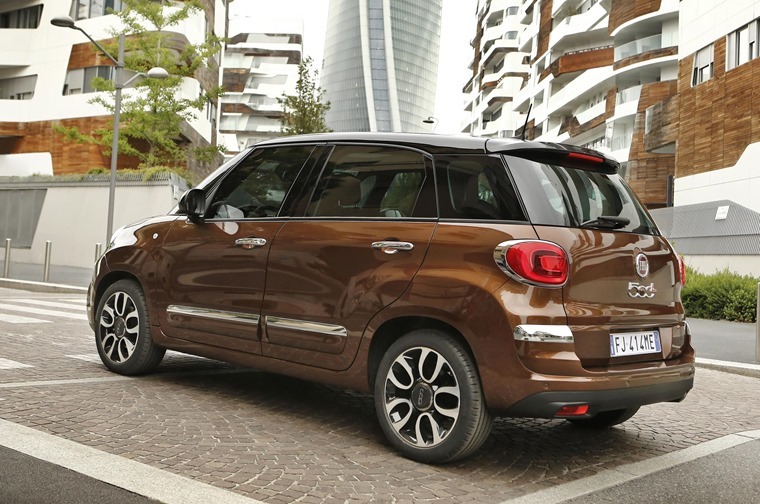 Outside of the aging but still very much loved 500 there’s also the soft-roader 500X which comes in both City and Cross variants, and this 500L – a people carrier that itself stretches to three distinct styles. 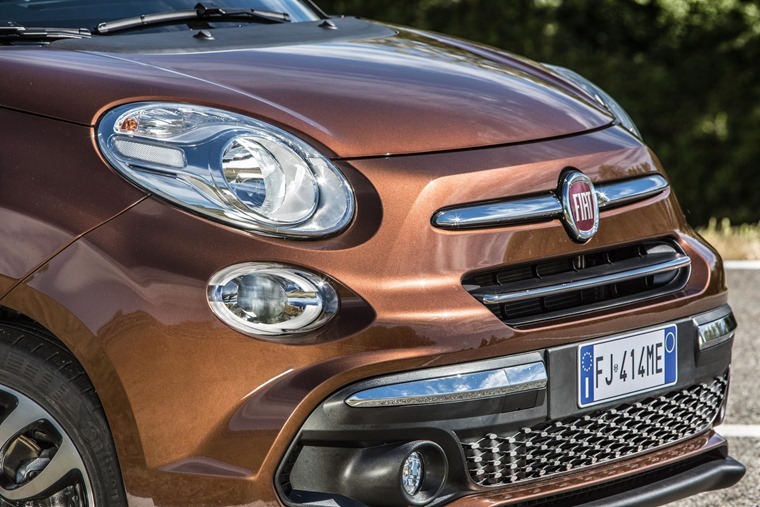 Fiat’s plan is to capture young couples with the 500, then upsell them the 500L when the patter of tiny feet happens. At the same length as a Ford C-Max, the 500L is a bit of an anomaly. It might look cute and compact, but there’s a traditional MPV under that skin – a segment that’s struggling as the world switches to tough and tall SUVs… like the 500X. 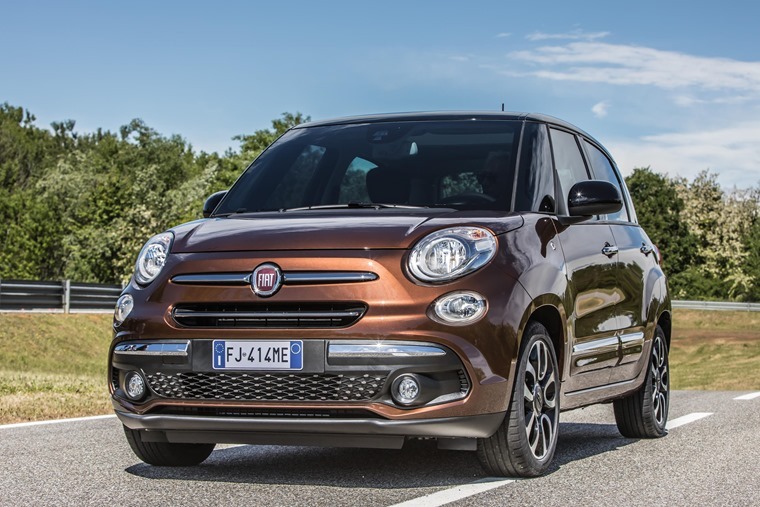 Fiat has resisted the change with the 500L though, giving it a nip and tuck to keep it fresh and fight back against the rise of the SUV with a bucketful of cute looks and good value. It all comes together quite nicely. The once awkwardly styled 500L now has lashings of chrome, some LEDs and a reshaped bumper, none of which sounds too impressive but it brings together all the design elements and turns the car into something more fitting of the 500 badge. The long body, especially in extra-long Wagon models, looks a tad graceless from some angles but that tall body makes it an excellent family car. 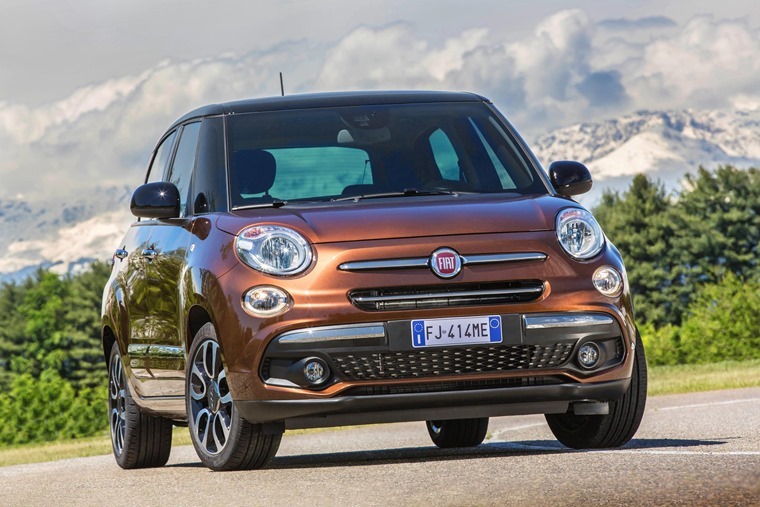 Fiat’s plan is to capture young couples with the 500, then upsell them the 500L when the patter of tiny feet happens. The more practical proposition is obviously appealing, with acres of head, knee and shoulder room to keep even six-foot adults or teenagers happy in the rear, although the optional panoramic glass roof will eat away at headroom significantly. The rear seats split and fold as expected, but also slide back and forth to create a balance between interior legroom or boot space. The boot itself is a good size and there’s no lip to lift heavy items over, but it’s a slightly odd shape that might make packing it completely a little tricky. Italian design flair has been allowed a little freedom without becoming overbearing. The extended Wagon model adds an extra lump of bodywork and an extra couple of seats, but beware of thinking these might do for growing teenagers - even for kids they’re really only useable as jump seats for short journeys. They also eat into the boot space when folded away. Both models also come with 22 cubby holes dotted around the cabin, perfect for losing a mobile phone or cuddly toy in. What isn’t very Italian is the performance. Yes the 500L is a comfortable machine for the most part [...] but it’s definitely at its best when on an arrow straight motorway. The rest of the interior has been tidied up nicely, the most notable change being the addition of a sleek seven-inch touchscreen in the centre stack. Needless to say this looks after control of the radio, Bluetooth, satellite navigation and almost everything other infotainment option, however it’s an unusual system. Sure it’s easy to use, but some options can leave the screen so cluttered that it becomes near impossible to make sense of. Fortunately those times are rare, and key controls are still dealt with by old fashioned rotary knobs. Fiat has embraced minimalism, but not to a degree that impacts usability. Behind the new steering wheel, now complete with fingertip controls for most functions, there’s a revised instrument panel that’s clear, bright and modern. It’s an area, like most others, where the Italian design flair has been allowed a little freedom without becoming overbearing. Body coloured swathes across the dashboard, seat fabrics that will cause debate, and that steering wheel clad in leather, all add a little Italian ambience. What isn’t very Italian is the performance. Yes the 500L is a comfortable machine for the most part, despite surprisingly firm suspension that holds the tall body in position, but it’s definitely at its best when on an arrow straight motorway. The 118bhp 1.6-litre diesel engine gives modest performance, with 0-62mph taking a leisurely 10.7 seconds, but official economy of 67.3mpg is impressive. There is a smaller 1.3-litre diesel available, but that’s glacial in terms of pace and offers no economy benefits at all. Those keen to avoid diesel can specify a 1.4-litre petrol option that’s smooth but predictably thirsty. 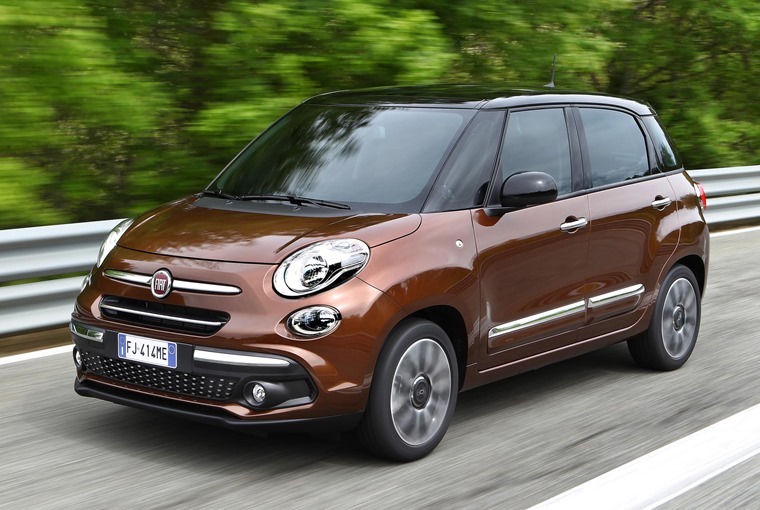 As well as the standard 500L and its Wagon cousin, there’s a beefy Cross version that adds protective plastic cladding and special traction-control electronics to help the car get across minor off-road obstacles. It’s no proper 4x4 though, so avoid it if you actually need to wade through mud. Ignore all of the extra frippery and the 500L is a pleasingly honest car that sensibly ticks all the boxes a growing family might need ticking. The timelessly stylish design of the 500 might not transfer perfectly to this head-before-heart model, and the exciting driving dynamics have been left behind, but for bread-and-butter motoring with a dash of style there’s little else to rival it.